Gather with family and friends around the Renmen Dining Table by Zuo Modern. We love the Mid-Century feel of its walnut-colored surface, that has been handcrafted from MDF and finished with wood veneer. X-shaped trestle support made of brushed stainless steel at the base provides a stylish contrast. The minimalist, modern design of this piece works well with matching items from the Renmen collection. 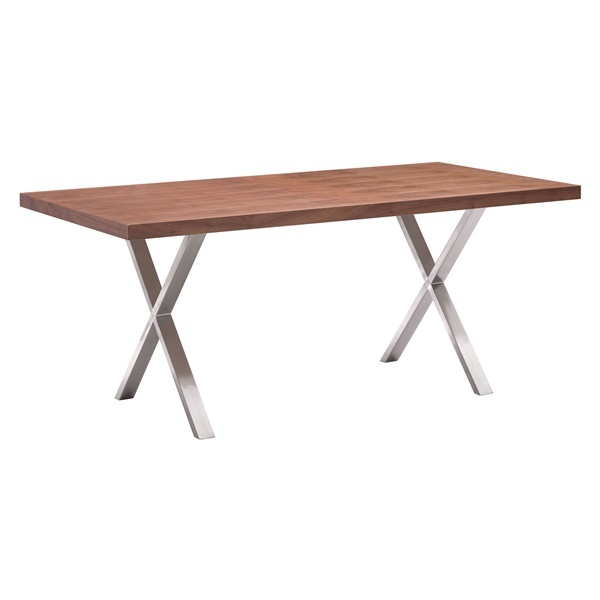 Your next dinner party deserves the Renmen Dining Table by Zuo Modern.